JASON JACK MILLER: Snapperhead Traps! 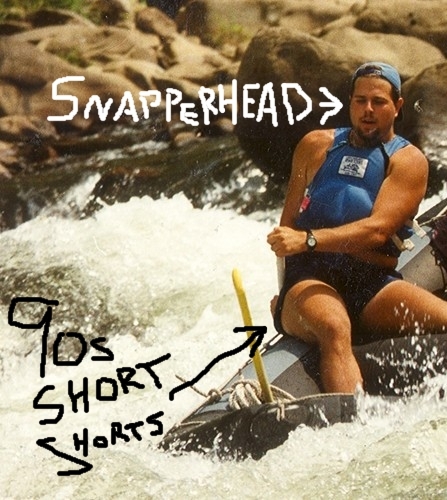 In the early Nineties, people would set snapperhead traps near rafting outfitters in Ohiopyle, the most effective being the rope that ran through D-rings around the raft itself. Here's how they worked--you're surrounded by thirty raft guides, pulling rafts off of a flatbed truck, and your Teva catches a rope, throwing you to the ground. But it's not so easy to slow a 250 lb raft, so you'd inevitably end up beneath the raft you were pulling off of the truck. Hence--snapperhead trap.